TGIF! This week seems to have flown by and I'm so excited that tomorrow is December 1st! What December traditions are you all looking forward to? For me there are so many, I'd need another post just to share them all, haha. Giving the perfect gift is also something I love doing during the holidays. That is why I have come up with so many helpful gift guides to help everyone treat those on your list to something extra special and perfectly suited this year! 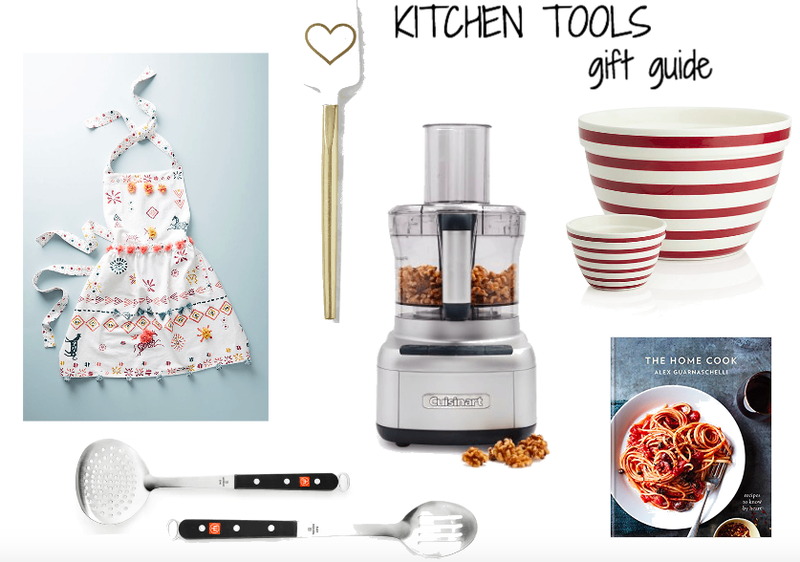 Today I'm sharing some fun, festive and practical gift ideas for the home chef. Cooking has really become a passion of mine and, judging by so many Insta stories, everyone else too! Here's what your kitchenistas will love. This one and done wonder maker is currently the hit of the season. 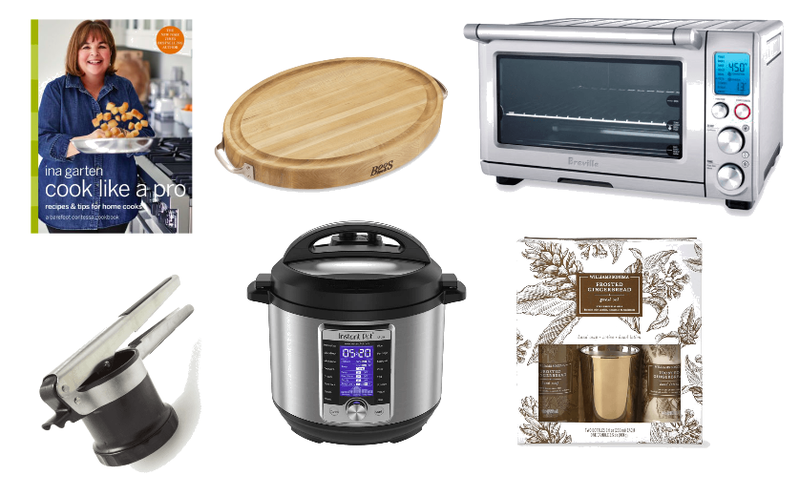 The Instant Pot has quickly become the most wanted gift of the moment. That's likely because of its ability to quickly cook and create the most delicious meals in as little time as possible. That's great for anyone who's short on time but big on flavor. Comfort foods love it and healthy dishes are a breeze with this beauty. A definite must-have for anyone who loves to cook or eat, ha! These cute striped bowls make cooking and serving a pleasure. They're also perfect for popcorn and a movie night at home. This soap and candle set gives me all the holiday feels of warm cinnamon and sweet gingerbread. Warm up tasty leftovers with this Breville Smart Oven. It convection bakes too! Grab a cookbook or two for that friend who'd love some new recipes to try or a cute apron for the girl who loves to cook and look good doing so! All these ideas and more are linked below. I hope everyone has a great weekend! !